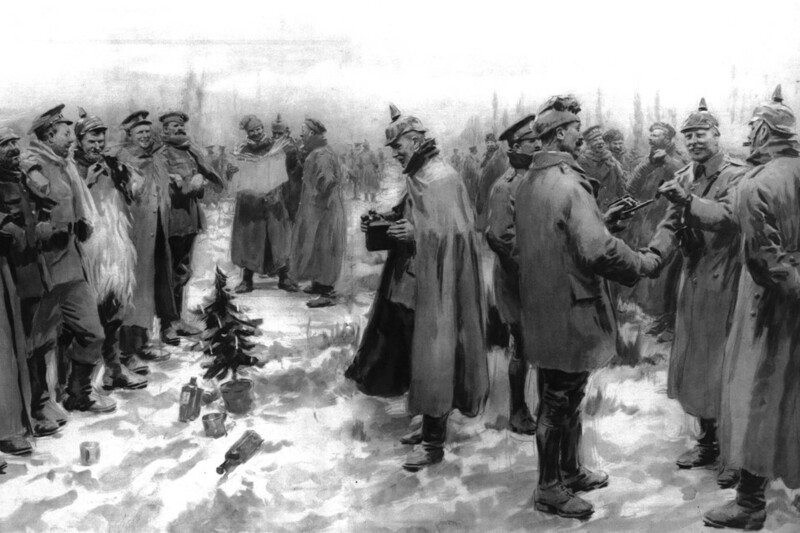 The Spirit of the 1914 Christmas Truce – WSJ. The truce mostly held through Christmas and, in some cases, even to the New Year. It took senior officers’ threats for fighting to resume, and such comprehensive battlefront peacemaking never happened again during the Great War. Courts-martial were brought against those involved later in even brief Christmas truces to retrieve the dead. READ MORE: The Spirit of the 1914 Christmas Truce – WSJ. This entry was posted in Religion & Spirituality and tagged Advent, All Things Catholic, American and tagged Christmas eve, peacemthe Great War, WW1it by LIONESS. Bookmark the permalink.